Jeff Maggioncalda’s first full year as Coursera’s CEO seems to have gone well. The company’s estimated revenue was $140 million in 2018, which is a significant increase from its estimated revenue in 2017 of around $100 million. Coursera now employs around 330 people. 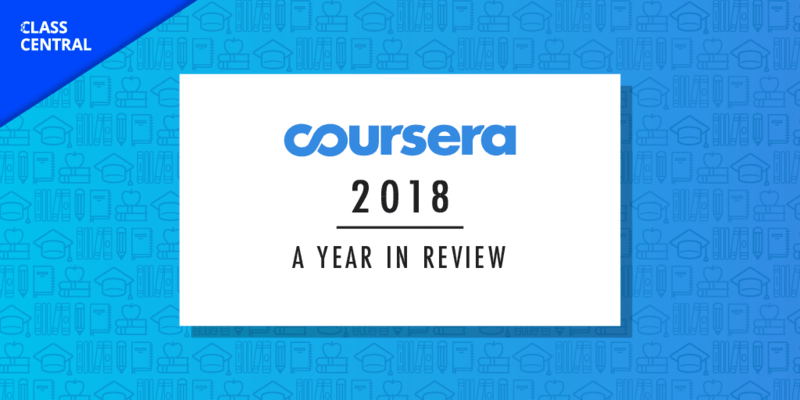 In 2018, Coursera’s consumer product essentially remained the same, and the paywall didn’t grow further. The total number of learners on the platform grew to 37 million. Coursera’s push into corporate training (B2B), which finally took off last year, gained further traction in 2018. The biggest change came in the form of online degrees. 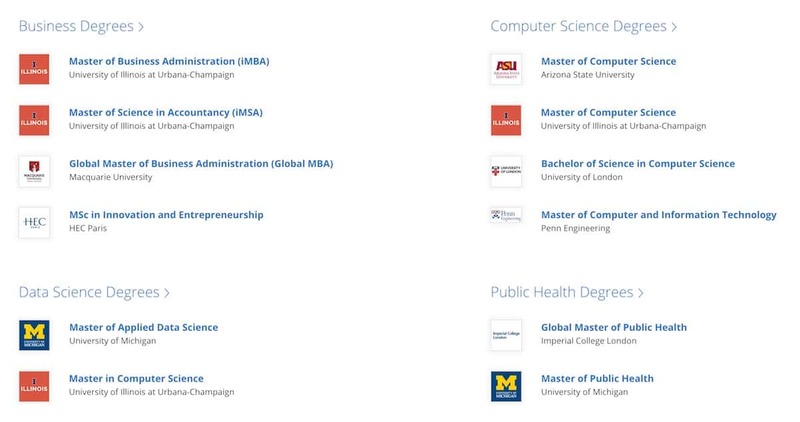 Last year Coursera had just four online degrees from two universities. As of 2018 it has twelve online degrees from eight universities, including a Bachelor’s degree and an Ivy League University Master’s degree. Let’s take a look at each of them separately. In 2018, Coursera’s focus might have been on corporate training and online degrees, but the consumer business seems stronger than ever and is potentially turning into a cash cow for the company. Of the estimated $140 million revenue in 2018, it’s quite possible that around $100 million came from the consumer business. 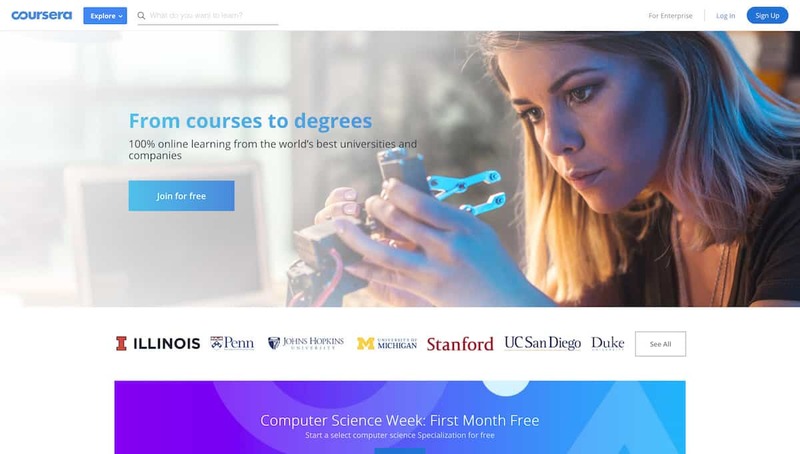 Coursera boasts 37 million total learners, 7 million of which were added in 2018. That’s the same number of new learners that joined the platform in 2017. Although the number of learners being added every year is flat, it seems a greater portion of these learners are paying. This can be attributed to the monetization changes Coursera implemented in 2017 and earlier. The revenue estimates suggest that Coursera acquired hundreds of thousands of new paying customers in 2018, taking the total number of people who have ever paid for a Coursera course into the millions. Coursera didn’t tinker too much with the consumer product this year, nor did it perform further pricing experiments or make modifications to its paywall. Coursera maintains an active catalog of approximately 3,100 courses and 310 Specializations, created by more than 160 university partners and more than 20+ industry partners. There were 675 courses and 90 Specializations launched in 2018. Below is a list of the top ten courses of 2018 shared by Coursera, as measured by total enrollment. Yale’s “The Science of Well-Being” from Coursera is the only course in the list that was launched in 2018. Machine Learning from Stanford University. Learning How to Learn: Powerful Mental Tools to Help You Master Tough Subjects from The University of California, San Diego. The Science of Well-Being from Yale University. Algorithms, Part I from Princeton University. English for Career Development from The University of Pennsylvania. Financial Markets from Yale University. Introduction to Psychology from The University of Toronto. Cómo hacer una tesis from Universidad Nacional Autónoma de México. Chinese for Beginners from Peking University. Python for Everybody from University of Michigan. Applied Data Science with Python from University of Michingan. Google IT Support Professional Certificate from Google. Advanced Machine Learning from National Research University Higher School of Economics. Business Foundations from University of Pennsylvania. 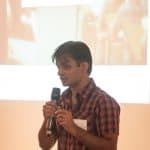 Architecting with Google Cloud Platform from Google Cloud. Excel Skills for Business from Macquarie University. 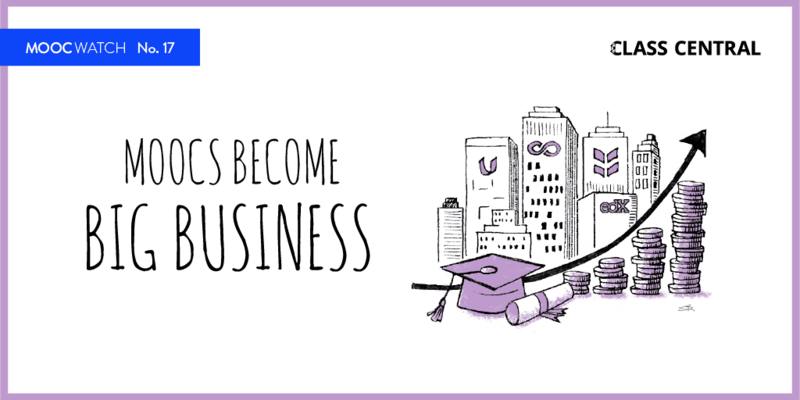 Coursera’s corporate training product is called Coursera for Business. According to Coursera, it has more than 1,500 enterprise customers (including over 60 Fortune 500 companies), up from 500 at the end of last year. Coursera for Business costs $400 per year per employee and includes full access to a catalog of around 2,500 courses. This is a subset of the entire Coursera catalog. Earlier this year both Stanford University and the University of Pennsylvania (including the Wharton School of Business) pulled their catalogs from Coursera for Business. Here is a list of courses that are not part of Coursera for Business. 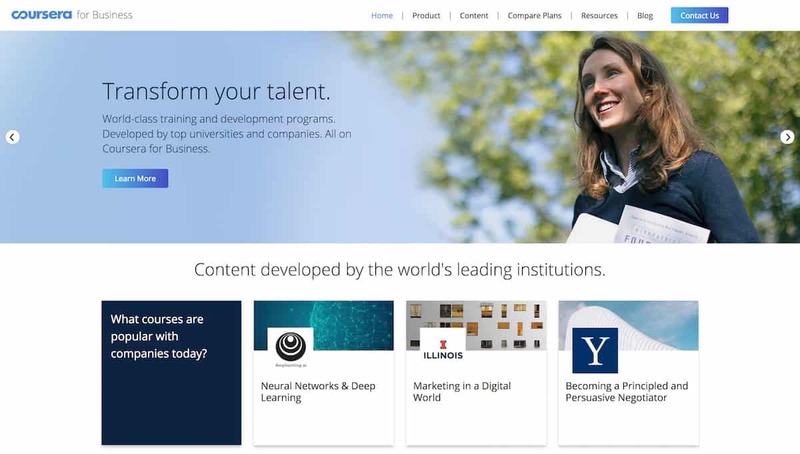 Coursera made a few updates to their enterprise product in 2018, focusing primarily on extracting more insights from learner data for enterprise customers and integrating more seamlessly with internal learning management systems. Those changes are summarized on Coursera’s blog. The most interesting developments of 2018 were in the market for online degrees. I have referred to the enthusiasm surrounding MOOC-based online degrees as the second wave of MOOC hype. In 2018, Coursera announced eight new online degrees from six new universities. One of those degrees is a Bachelor of Science in Computer Science from the University of London. Another is a degree from an Ivy League school; the degree is the Master of Computer and Information Technology from the University of Pennsylvania. 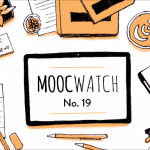 A complete list of MOOC-based online degrees can be found in our pricing charts. Coursera’s first online degree was the iMBA from the University of Illinois, Urbana-Champaign (UIUC) Geis College of Business, announced in May 2015. The iMBA was priced at $22k, which was tens of thousands of dollars cheaper than its closest competitors. To date, more than 1,000+ students have enrolled in the degree and the first cohorts of students have graduated. 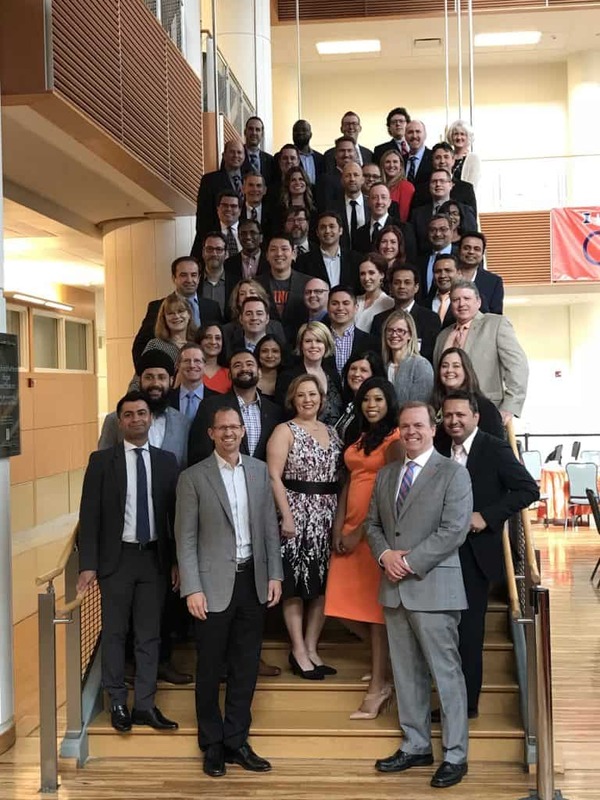 iMBA graduates with Coursera CEO Jeff Maggioncalda and the Dean of the University of Illinois Gies College of Business, Jeffrey Brown. Source: Coursera. You can learn more about the Coursera-UIUC collaboration in my interview with Coursera’s CEO, Jeff Maggioncalda, and the Dean of Gies College of Business, Jeffrey Brown. 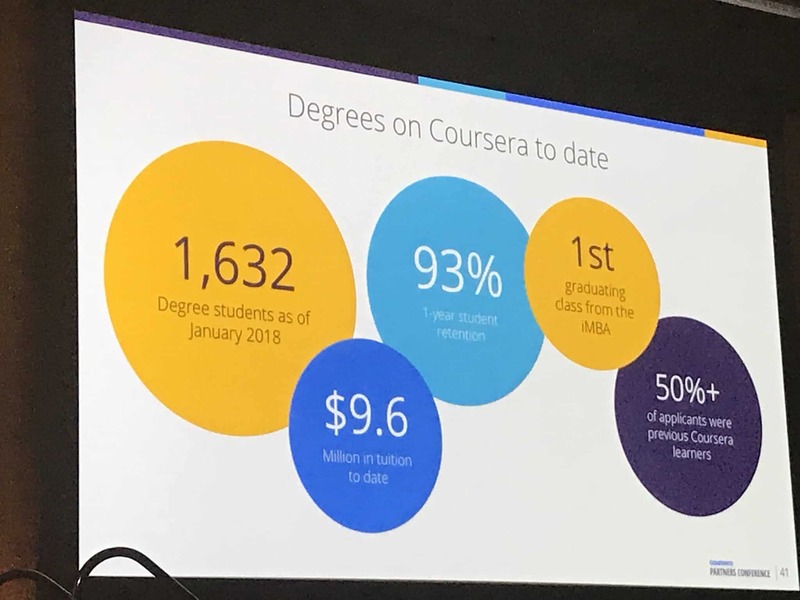 Earlier this year, at the Coursera partners’ conference, the company shared some stats about its degree programs: there have been 1,632 total students as of January 2018 and $9.6 million in tuition to date. Most interestingly, 50% of applicants to degree programs already had experience using the Coursera platform, demonstrating that Coursera’s free MOOCs can act as a marketing channel for their online degrees. 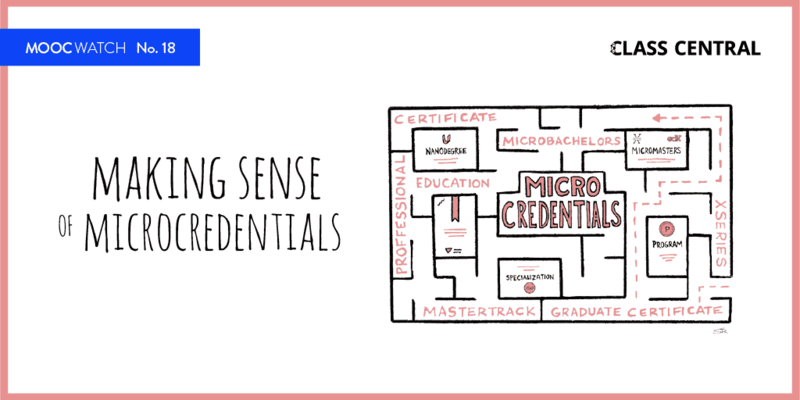 In 2018, Coursera introduced a new Microcredential called MasterTrack. The MasterTrack credential is quite similar to edX’s MicroMasters program. Both these Microcredentials allow learners to earn credit towards a Master’s degree, contingent upon applying to and being accepted into the degree-offering institution. Coursera’s MasterTrack programs are much more expensive than edX’s MicroMasters equivalents. The three MasterTrack programs announced so far are priced as follows: $2,000, $2,316, and $3,474. In comparison, MicroMasters programs range in price from $540 to $1,500, with the median price being $946. Coursera held their 2018 Coursera Partner’s Conference at Arizona State University in Tempe, AZ. Here are one attendee’s takeaways from that conference.